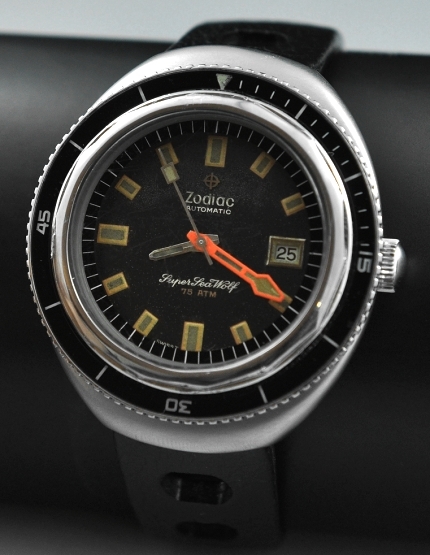 This vintage 1970’s Zodiac Super Sea Wolf dive watch is all original including the black dial, lume and handset. The dial has some gentle ageing and patina, but still looks great. The turning bezel is original. The massive 43.5mm. steel case looks fabulous. The included (unused) Swiss Tropic band and original buckle is valuable on its own. This automatic winding ZODIAC movement was just cleaned and accurate. $1495.